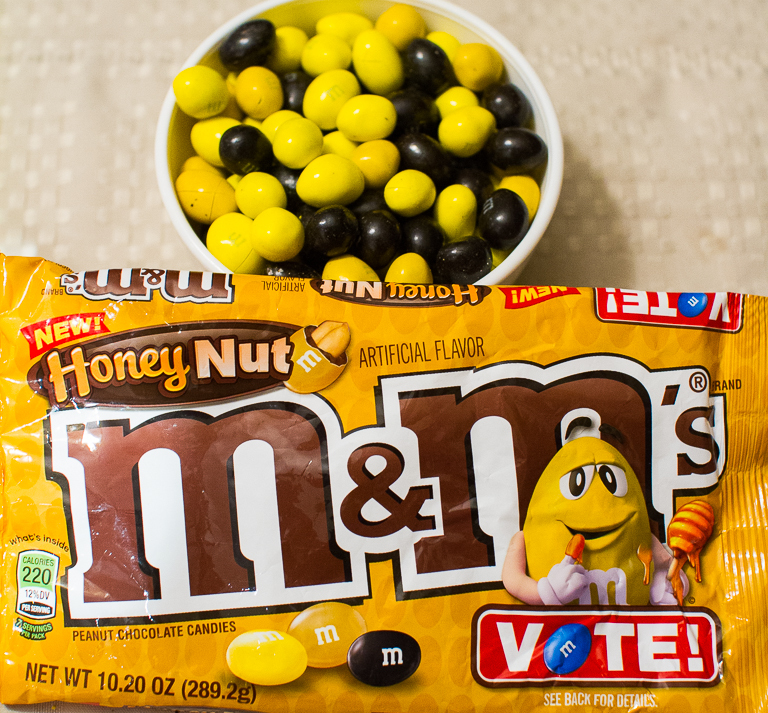 M&M decided they need a new peanut flavor and they want us to vote for our favorite. This blog post is really late since the promotion has already ended. I got a text one morning from one of my co-workers saying they'd left me a present on my office door. 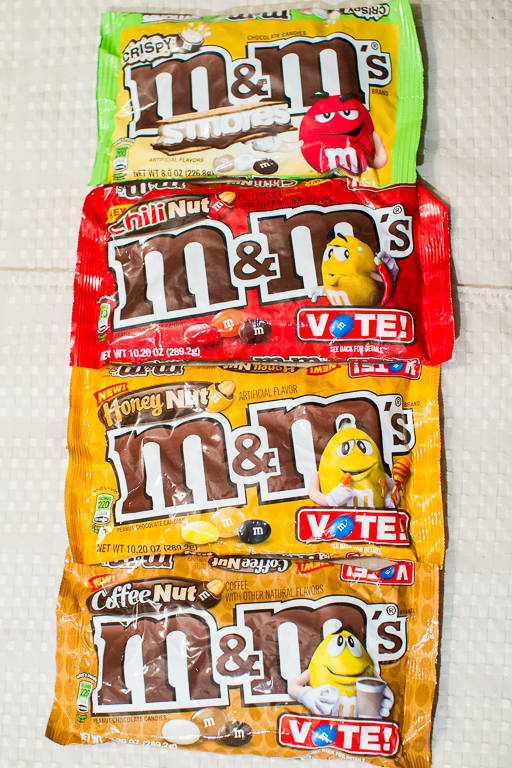 Knowing how much I love limited time flavors, like the Lay's Potato Chips, she'd bought me all the new M&M peanut flavors, plus a brand new Crispy M&M flavor. Lots of interesting new flavors here. I'm looking forward to trying them all! First up was the Chili Nut. Being a fan of spicy food, I was really hoping this one would deliver. At first, I couldn't tell there was much going one with this one. 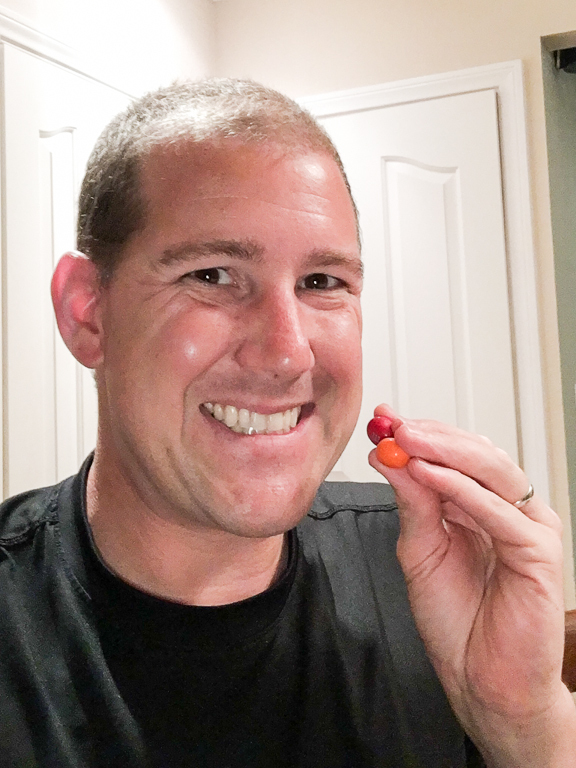 It tasted a lot like a regular peanut M&M. Given a little time though, the heat started to build in the back of your throat. It was interesting, but I didn't love it. Next up was the Coffee Nut. I like how they've colored the shells to match the flavor. 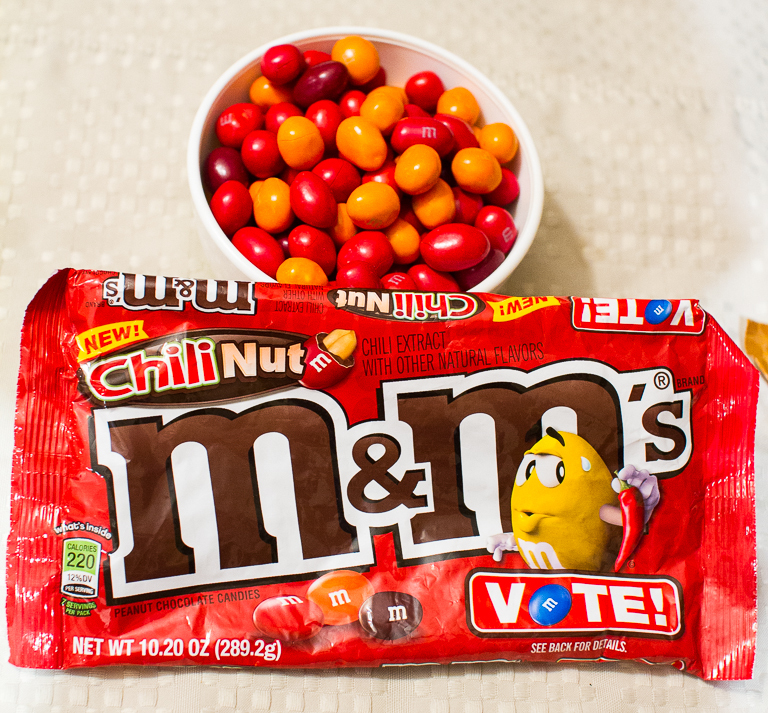 Where Chili Nut was subtle, Coffee Nut was not. Pop this in your mouth and you're tasting coffee. Not too bad, but not my favorite. This is the one I was thinking would be my favorite going in. It's understandable that this was the most requested flavor. Sweet like honey, plus chocolate and candy. Of all the flavors, this was my favorite. Last up was the Crispy M&M S'mores. In my mind, I thought these would be a little different. I was thinking real bits of graham cracker and maybe some real marshmallow. These are much too small to contain any of that. 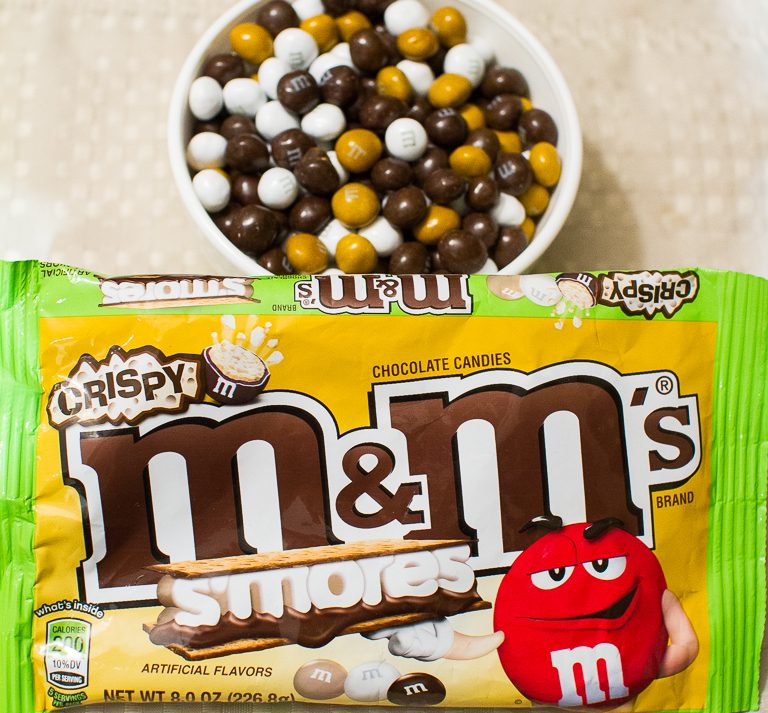 Instead, it appears to be a regular Crispy M&M with artificial flavoring of marshmallow and graham cracker. Sadly when it's all artificial, it tastes especially chemically to me. I wasn't a big fan. Well I said this was pretty late to get posted. 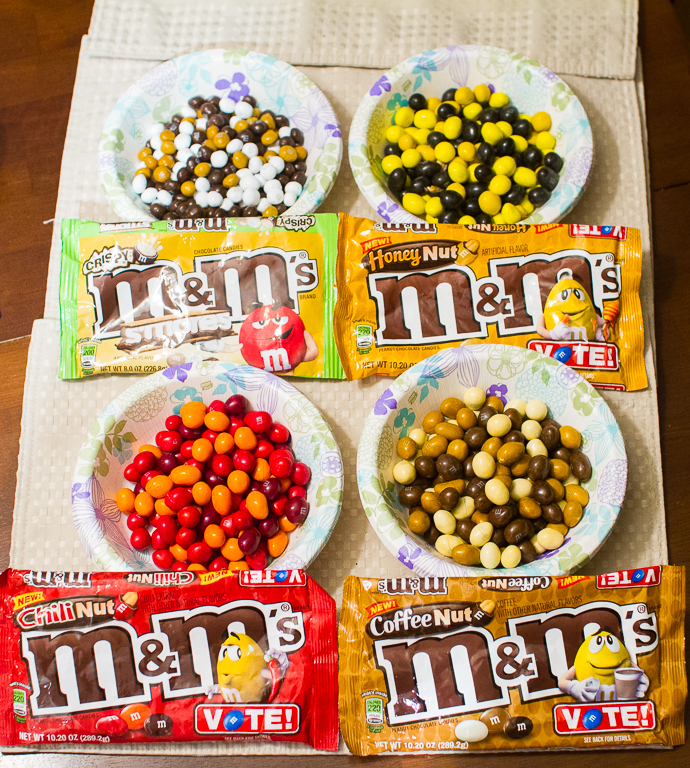 Which flavor ended up winning and becoming a permanent addition to the M&M family? Not my favorite sadly. 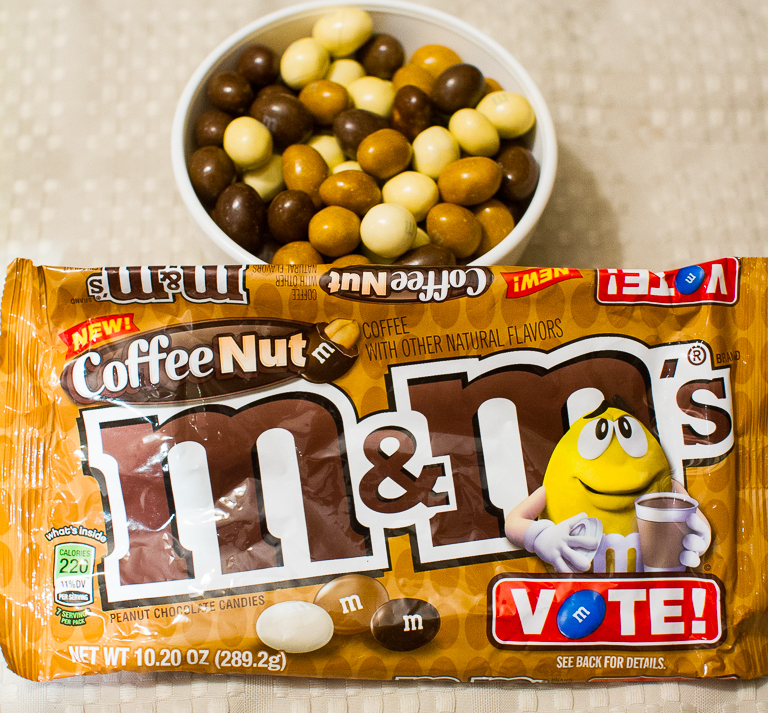 Coffee Nut was the winner. Look for it on store shelves starting in August! Thank you again to my co-worker who bought me the M&Ms!